Lutefisk Lovers, a photo by Southworth Sailor on Flickr. 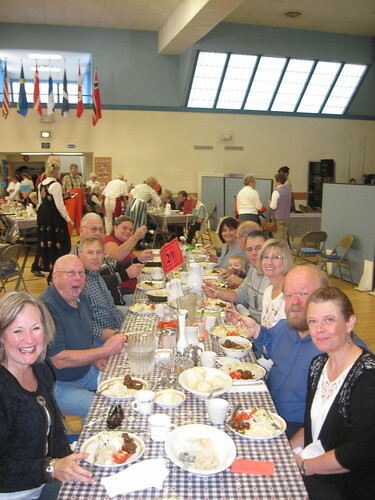 A large contingent of our small group made the pilgrimage to Poulsbo on Saturday for the annual Lutefisk feed. There were several Lutefisk 'virgins' that got their first encounter. We stuffed ourselves with Lutefisk, meatballs, potatoes, Lefsa and KrumKake. Next year will be the 100th year of the annual feast at First Lutheran. We'll have to bring the Eides over to the Peninsula for the big occasion.